APPEARANCE: The yama oroshi is a metal grater which has been improperly cared for and has grown too dull to grate anything. It sprouts a body, and the dull slicers on the grater stick out like wild spines from its head. ORIGIN: Yama oroshi’s name contains a double pun. 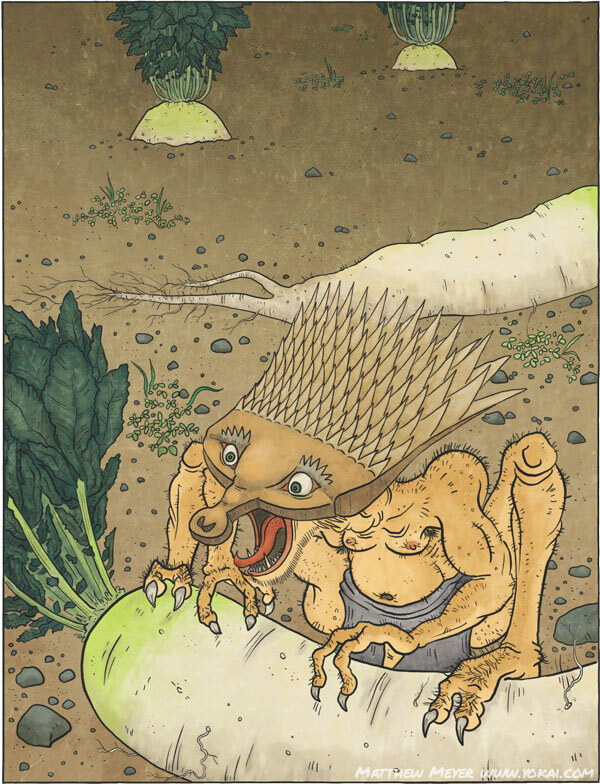 First, the Japanese word for grater is oroshi, which is found in this tsukumogami’s name. Second, its name sounds like yamaarashi, the Japanese word for porcupine. 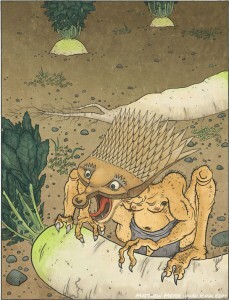 This yōkai resembles a porcupine with its spines.